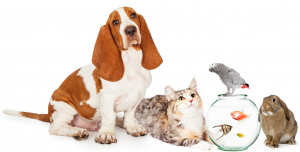 Live – in Pet Sitters required to join our expanding Pet Sitting team. Are you an animal lover and looking to work during retirement? Have you ever wanted to work with animals? Are you a non smoker with your own transport? If you answered yes to all of those questions, we would love to hear from you. Nina’s Nannies for Pets was established in 1998 to provide a complete pet care service, which is tailored to suit our clients requirements. It is therefore important that new recruits are happy to go that extra mile for our clients and fit into our family team of Pet Sitters. 2015, saw us introduce Skype calls to allow clients to look in on their pets while their were away. This and regular updates, are very much appreciated, hence our repeat bookings and constant recommendations. For this reason our ‘personal service’ must be maintained. All applicants therefore, must be non smokers, preferably with their own transport, have at least fifteen years experience of caring for domestic pets, be active, in order to maintain dogs exercise regimes and have good communication skills. 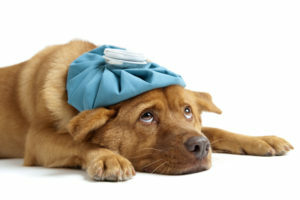 You should be able to cope in an emergency, should a pet require veterinary treatment while their owners are away, or deal with household emergencies when and if they arise. 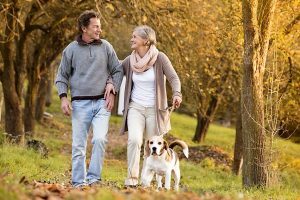 This type of work is ideally suited to retired people/couples who enjoy the pleasure of a pet, without the expense or responsibility and it does not take long for a new pet sitter to build a good client base, which will see you return to the same households throughout the year and when required. We also offer good rates of pay for the right people. There are good rates of pay for the right people/couples and don’t forget the additional savings you will make on utility bills! You are also reimbursed for all mileage costs, the preliminary visit and when you start and end the assignment and any extra expenses incurred while clients are away. 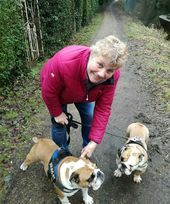 We are particularly keen to find Live in Pet Sitters in the London, Berkshire, Hertfordshire, Bedfordshire, Buckinghamshire, Hampshire and Dorset area, so please visit our ‘Become a Pet Sitter’ page for full details. This is my letter to the politicians on why I will not be voting on May 7th. I am the faceless voter. I am not a celebrity, a sportswomen, or royalty. I attended secondary school (probably the worst in the country) and left at the age of fifteen with no qualifications, just a love and passion for animals, which led me to where I am now, a pet sitter of seventeen years. Perhaps however, since you are all desperate for votes, I now matter, for it could be my vote that puts one of you in Downing Street on Thursday 7th May. Yes, I care about the Health service. Having my own business I worry about the future for small companies. I am also mindful about all those young people who cannot find work and for Mrs Jones down the road who could not afford to pay for heating last winter, but I also care about the welfare of our animals. They do not have a vote. Every day up and down the country, kittens and puppies suffer the horrors of puppy farms or concentration camps as I like to call them. They suffer a life of neglect, abuse and torture and when they have outlived their usefulness they are left to die a slow and painful death. The lucky ones will be killed or abandoned. Then there is Mr Smith, a 75 year old pensioner who’s only companion is little Rover. They eat, sleep and exercise together and Rover is often the reason that Mr Smith gets up each morning. 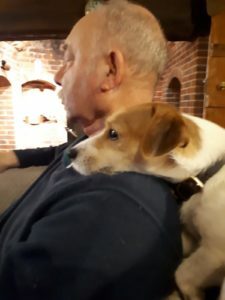 The companionship and the attachment they feel towards each other is fundamental to Mr Smith’s well-being and when Rover is suddenly stolen the impact is devasting. There are literally thousands of dogs stolen each year and many are taken by organised gangs and being sold on for breeding, dog bait in the fighting fraternity, or trafficked through the internet. Did you know that most dog thefts are unrecorded, since officers investigate only if there is evidence of a crime! What of the Breed specific legislation, which will never work and is entirely unjust. This law was rushed through parliament in response to media and public pressure following a speight of high profile dog attacks! It is legislation which will never work, is ill informed and has not prevented attacks on the general public. Numerous family dogs have been murdered as a result of this act. Gentle, loving and affectionate creatures who are completely innocent of any crime, taken off the street as a suspected banned breed and leaving devastated owners behind. And now to you Mr Cameron. As I understand it, you have been quoted as ‘having the countryside in your blood’ and that it is your firm belief that everyone should have the power to hunt. Well Mr Cameron, I live in a small country village, surrounded by farmland. I too have the countryside in my blood and like 80% of voters in the U.K. I do NOT want to see this barbaric sport returned. It is an ASSAULT on rural life. Pregnant livestock can abort their young because of the distress caused by hounds, they cause misery to wildlife, not to mention the damage hunts cause to Farmers lands! I would also question the integrity of any man who would consider hunting with hounds to be a part of our national heritage. Well let me tell you Mr Cameron, every single part of a hunt is cruel. The chase, the dig out and the kill. If the fox is lucky enough to escape underground, he is forced to fight the hounds before being pulled out and if very lucky, shot! Yes, I am the faceless voter, but I will always care, for animals should never be forgotten. They are the eyes for the blind, ears for the deaf and help for the disabled. They defend our troops, detect mines and fight crime. They are part of our society and as such they deserve to be represented. In the U.K. we are purported to be a nation of animal lovers and accordingly their welfare should be an issue of political concern and that Mr Cameron, Mr Clegg and Mr Miliband is why I remain the faceless voter. 2014 has been an extremely busy year and we have welcomed new Pet Sitters from the Dorset, Bedfordshire, Bristol, Sussex, Surrey & Essex areas. We are still recruiting for live in pet sitters, so anyone who may be interested please visit our Become a Petsitter page. Christmas is almost upon us! Yes, is currently only ten weeks away and we have decided to have Christmas Day afternoon with our family, so we will be informing our visiting clients this week to ensure that they book early this year. For all new enquiries, PLEASE be aware that this year we will be unable to take last minute bookings! Our Visiting page is awash with information, so when Aunty Betty has decided to spend the festive period in the Maldives and Nigel from next door is going to relatives 90 miles away, remember your cats, bunnies and little furries and PLEASE book early. This year has been very exciting for us. As huge supporters of Pupaid, we were delighted to see the petition we had been promoting surpass 100,000 signatures and forcing a debate in Parliament last week. So congratulations to Marc Abraham for bringing this to the public’s attention and forcing the Government to listen. In our seventeen years working in the pet care industry, we have seen too many puppies who have been unwittingly purchased from Puppy Farms and back yard breeders. The lucky ones have survived, but can carry hereditary and acquired diseases, often as a result of inbreeding. The parents of these poor pups live in the most unim,aginable cruelty, deprived of human contact and living in the most squalid of conditions and are often killed when they are no longer able to breed! Breeding MUST be regulated and these barbaric puppy/kitten concentration camps, banned, so PLEASE stop buy responsibly, or better still adopt. As part of our ’Adopt Don’t Shop’ campaign, we offer 5% discounts. We ask only for a copy of your pets adoption certificate and our 5% discount will be implemented to our visiting and agency fee. This year also saw us win the Theo Paphitis small business award and we cannot wait to meet the man himself. Our badge is proudly displayed on our home page, with our certificate of registration and our insurance badge. Hence our motto, at Nina’s Nannies for Pets, WE LOVE TO CARE. On Sunday 29 June, I tweeted Theo about our pet sitting business during ‘Small Business Sunday’, an initiative set up by Theo that runs weekly. To my utter delight, Theo re-tweeted my message to his 260,000 followers and as a result we are now profiled on a new website www.theopaphitissbs.com, that is exclusive to Small Business Sunday winners! I really hope that this recognition will help to promote animal welfare and encourage more people to adopt their pets, rather than buy. This is also why we now offer discounts to people who have re-homed their pets, along with senior citizens who would rather keep their pets at home while they are on holiday . It is wonderful to have support from Theo and Doug (my business partner), and I are ‘over the moon’, to be recognised for our hard work and to help spread the word about what we do. We cannot wait to meet Theo personally to collect our Small Business Award and a may even cheekily ask him to give his backing to Pupaid, a petition started by Marc Abraham to help ban the sale of young puppies and kittens unless their mother are present. Tim’s story is a wonderful example of why microchipping your pet is so important. We stumbled upon Tim, late last year when a client had warned us that she had been feeding a stray cat. She already had three cats of her own and despite her best efforts was unable to integrate the stray, so she asked if we could continue feeding the stray in her absence, which we did without charge. Despite leafleting her area in an attempt to discover Tim’s owners, no one had come forward, so on the first day of our client’s holiday, I decided to take Tim to Barton Lodge Veterinary centre in Hemel Hempstead, in the hope that the stray had been micro chipped and his owners could be traced. I sat in the waiting room full of trepidation and when Lorna, one of the veterinary nurses returned beaming, I knew that a microchip had been found. Following a nervous wait the owner had been traced, who was dumbfounded to discover after a three year absence, their beloved cat had been traced and a reunion was planned that evening. This is when we discovered that the stray was called Tim, who had disappeared from their London address during the winter months. Despite weeks of searching, they abandoned hope of ever seeing Tim again and during the following year, they moved to Stevenage in Hertfordshire. So how Tim was discovered in Hemel Hempstead remains a mystery! Without a microchip, it would have been highly unlikely that he would ever have been reunited with his owners. Many people find stray cats and do not always attempt to find the owner. Some are taken in by the people who fin them, while others are surrendered to a shelter. Owners that have their pets microchipped are far more likely to be reunited with their pets should they get lost. Thankfully Tim enjoyed a happy ending and I was lucky enough to meet his owners, who were absolutely delighted to have him home again. One last hug before saying goodbye! If a cat collar is too loose, a cat can get its paw underneath it and a paw caught in a cat collar can easily lead to serious injuries if not released quickly. I have seen cats suffer deep wounds and if not treated quickly can lead to surgery and a long convalescence period. Microchips however, are a permanent way of identifying your pets and they link back to the owner once it has been registered. It is important however, to ensure that your details are kept up to date. When Tim’s owners moved from London to Stevenage, they had the foresight to update their address and contact numbers and I am reliably informed that he is back home and ruling the roost once more!